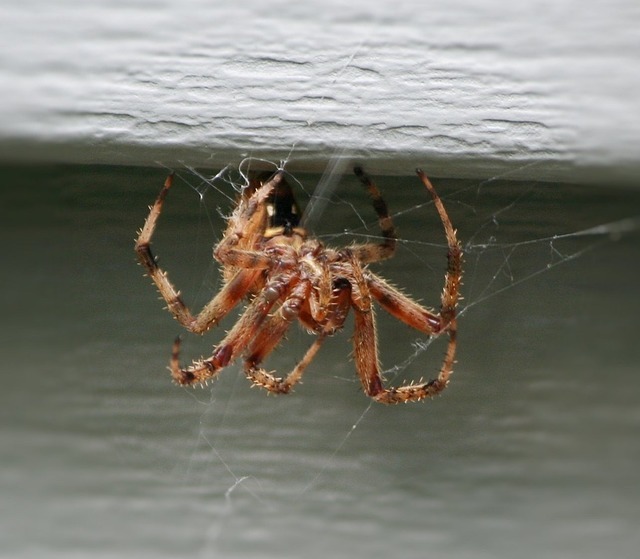 Generally speaking spiders and their webs can help control other pests such as mosquitoes and flies. There are of course some such as wolf and mouse spiders that can give painful bites, and funnel webs and redback spiders that are poisonous. On current evidence the most dangerous spiders in the world are funnel-web spiders, Redback Spiders and their relations, Banana Spiders and Recluse Spider. In Australia, only male Sydney Funnel Web Spiders and Redback Spiders have caused human deaths, but none have occurred since anti-venoms were made available in 1981. Strong garden gloves when working in the garden, and reducing areas where spiders are likely to nest are the best ways for controlling spiders. Don’t allow rubbish to build up, and keep weeds and lawns down. If there are poisonous spiders about, then they are always best dealt with by a pest control expert. Remember, if unsure of what a spider is, then do not go near it. Funnel web spiders are aggressive when bothered, and will bite. They do not jump, although many people have heard that they do. The Australian funnel-web spiders are among the deadliest spiders in the world in the effect their bites have on humans (although the bite has been known to have lesser to little effect on dogs and cats). There are many species of funnel-web spiders in Australia but only male Sydney Funnel-webs have caused human deaths. There have been only 13 deaths recorded from male Sydney Funnel-webs, but up to 30-40 people are bitten by funnel-web spiders each year. Mouse spiders may have venom that is as toxic as that of some funnel-webs, as some patients have had severe reactions to their bites, although no-one has been recorded as having died from the effects of a mouse spider bite. Anti-venoms are available for both funnel-web and Redback Spider bites.